Our PLATINUM® Protect PES/PA is a static rope that consists of a polyester cover with a polyamide (nylon) core. PLATINUM® is the world's first bonded static rope with a permanent connection between the core and the cover. This eliminates sheath slippage and creates an highly safe rope. The PLATINUM® Protect PES/PA of TEUFLEBERGER features a core-cover connection. But unless the known chemical Unicore connection, the PLATINUM® technology connects the cover and the core of the rope mechanically. With the PLATINUM technology we weave the sheath between the core yarns at fixed intervals. This technique eliminates sheath slippage and creates an unparalleled level of safety, durability & redundancy. 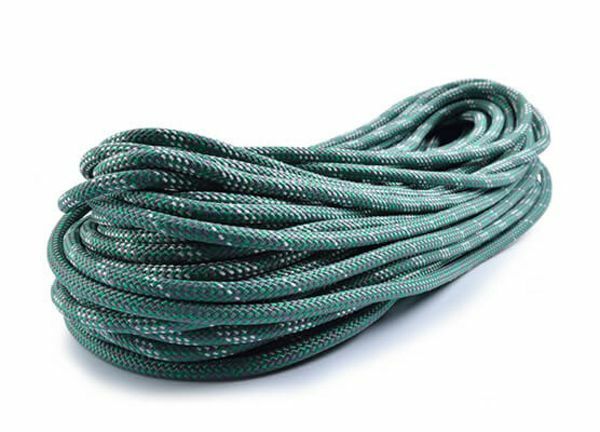 It is perfectly suited for all static rope needs, but especially those where the risk of sheath damage is increased, for example in sharp edges environments on big walls or for projecting. 10.5 mm version of this rope is EN 353-2-certified for use with PETZL ASAP (B71+B71AAA) and ASAP Lock (B71ALU).